The UK drinks market is “more polarised than ever” as premium brands increase their market share according to William Grant & Sons marketing director Gary Keogh, who last night (10 June) launched the First Drinks Report 2014. The annual spirits and Champagne report carried out by William Grant & Sons UK – formerly known as First Drinks – revealed current consumer trends and how shopper habits are changing as the country emerges from recession. Speaking on the research, Keogh said: “The market is more polarised than ever and it is premium brands which can really take advantage of this trend. Value can mean many things from functional benefits to packaging and personality”. With new analysis undertaken in both the on and off-trade, this year’s report highlights the evolution of shoppers’ habits when it comes to seeking value in what they spend. Global luxury wine and spirits are worth £45bn, and with 620,000 millionaires in the UK (a figure forecast to rise 30% in the next eight years), the high-end on and off-trade channels are becoming increasingly important for premium spirits. This end of the market is continuing to drive market growth, particularly in the on-trade where value is up 13.7% according to the report. In the off-trade, value has increased by 6.4%, outperforming the growth of non-premium spirits which are up 4.5%. 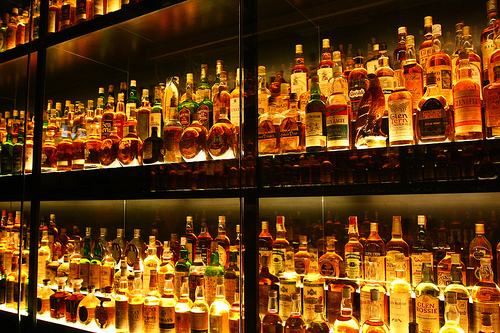 The report also reveals strong value growth in the malt whisky and spiced/flavoured rum categories. Rum’s versatility and use in cocktails has contributed to its growth, particularly in the on-trade. Gin is also performing well, with a wealth of new brands has helping to fuel general consumer interest in the category. With premium gin growing at six and a half times the rate of mainstream gin, the opportunity remains for further growth. 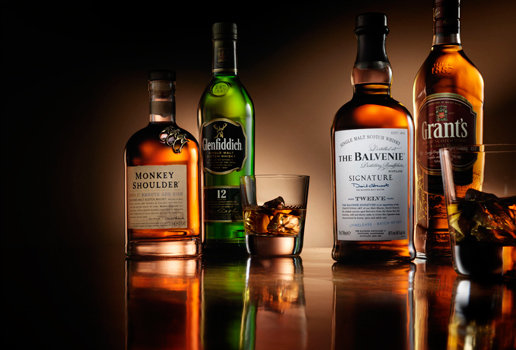 Chris Mason, Managing Director of William Grant & Sons UK, said: “As this report concludes, premium brands are extremely well placed to benefit from the trends the market is experiencing. This is why building premium brands that consumers desire is core to our business. · The on-trade remains in a state of flux, with research showing that consumers continue to make less frequent visits. · Online retailing is one of the fastest growing channels in the grocery market, with 24% growth achieved last year.